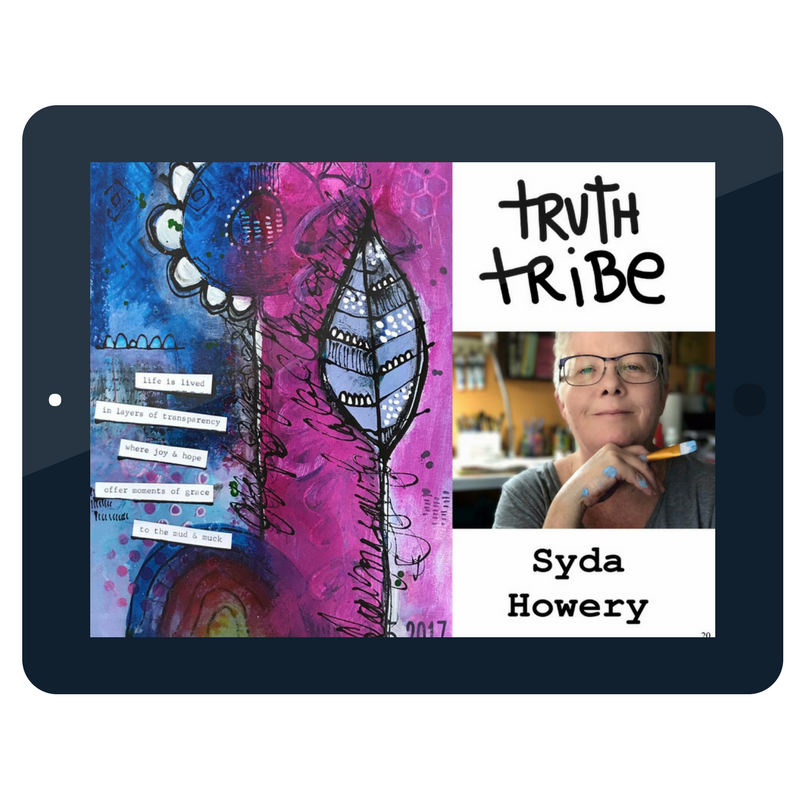 Syda Howery is messy grace in action, spilling her soul in bold brushstrokes, dramatic ink swirls, luscious texture, and vibrant pops of color. She believes that "mistaeks are mandatory," and has come to embrace the freedom of so-called imperfection not only in her artwork but in daily life. 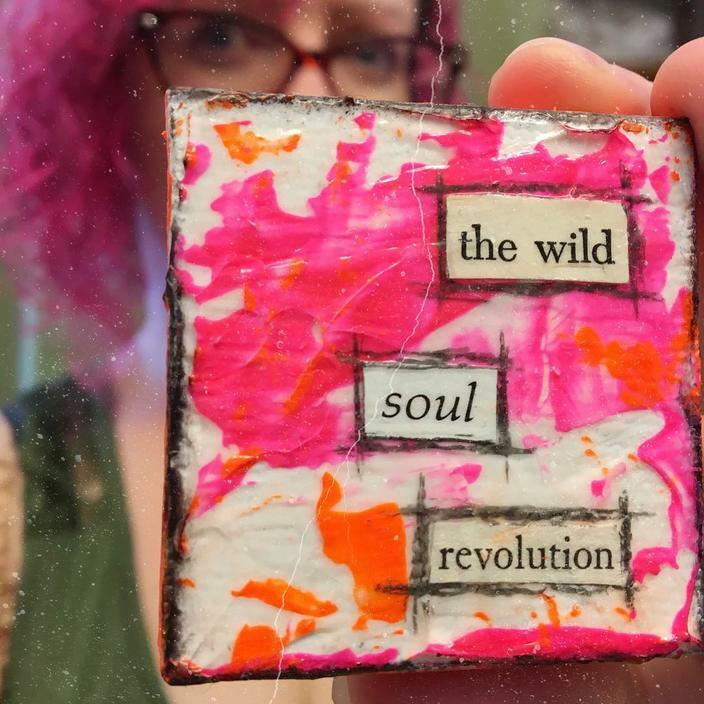 Syda (The Motley Turtle) is a "Mixed Media Pursuer," having discovered art journaling in late 2010 and creating her first page at age 45. She says, "I had no idea what I was doing, and to be quite honest, most days I still think I have no idea what I am doing. 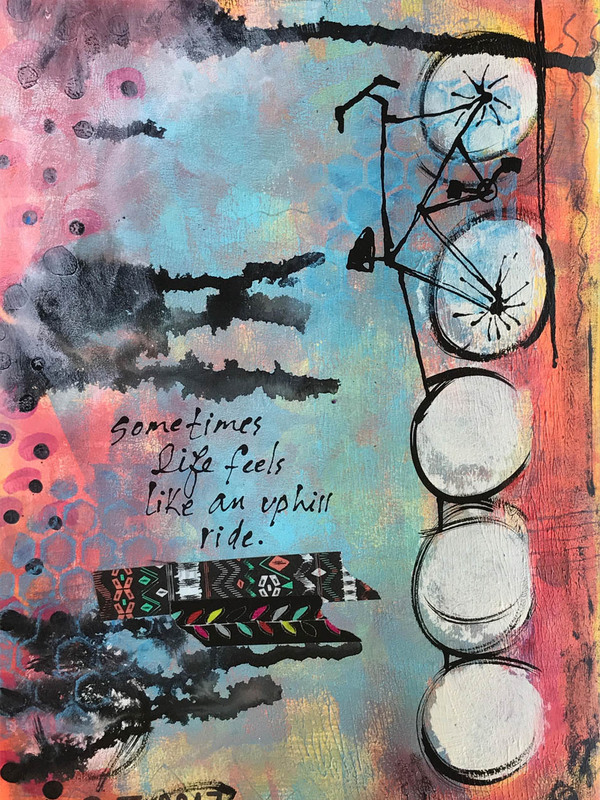 But I love mixed media and have no idea how I managed my life without it." Syda's passion for expression and commitment to "mistaeks" are an inspiration. 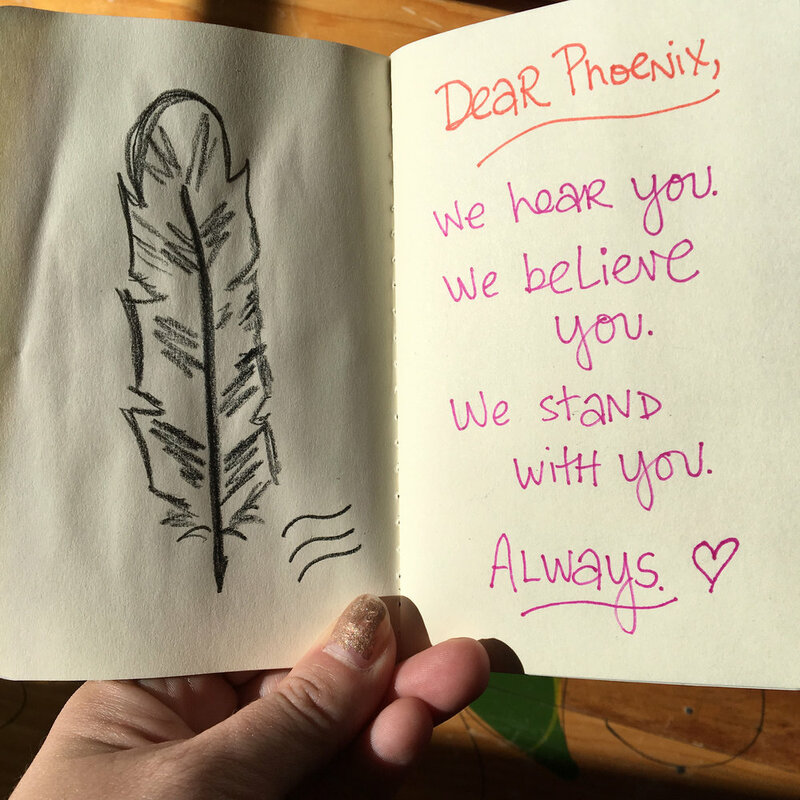 She's also a long-time member of our phoenix soul community, daring to reinvent herself as needed. 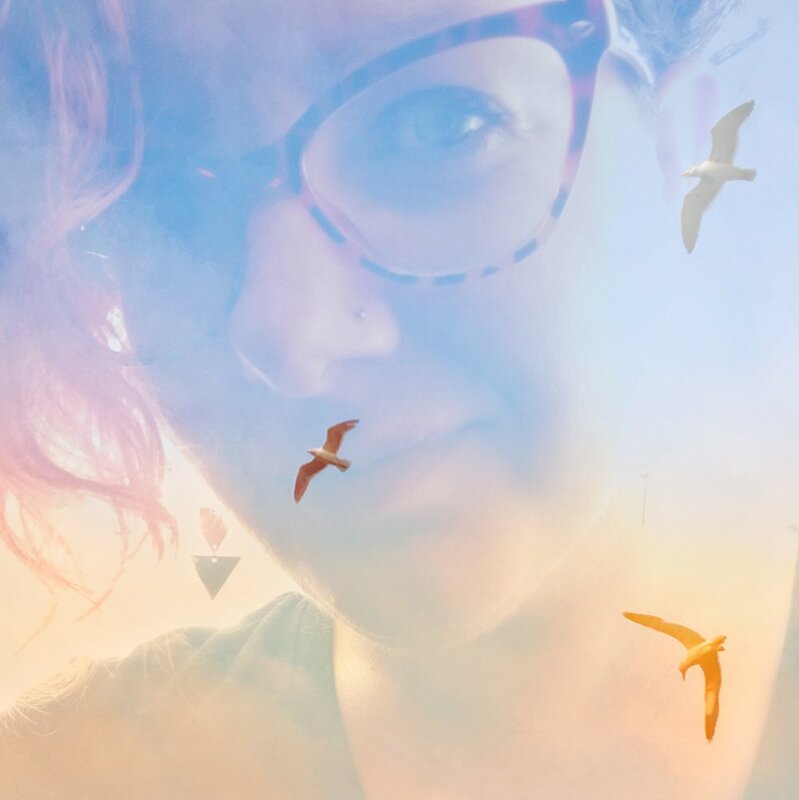 She calls herself "an often compulsive, sometimes neurotic, coffee-addicted introvert wearing the pants of a Domestic CEO," and believes "life is messy. Art heals." 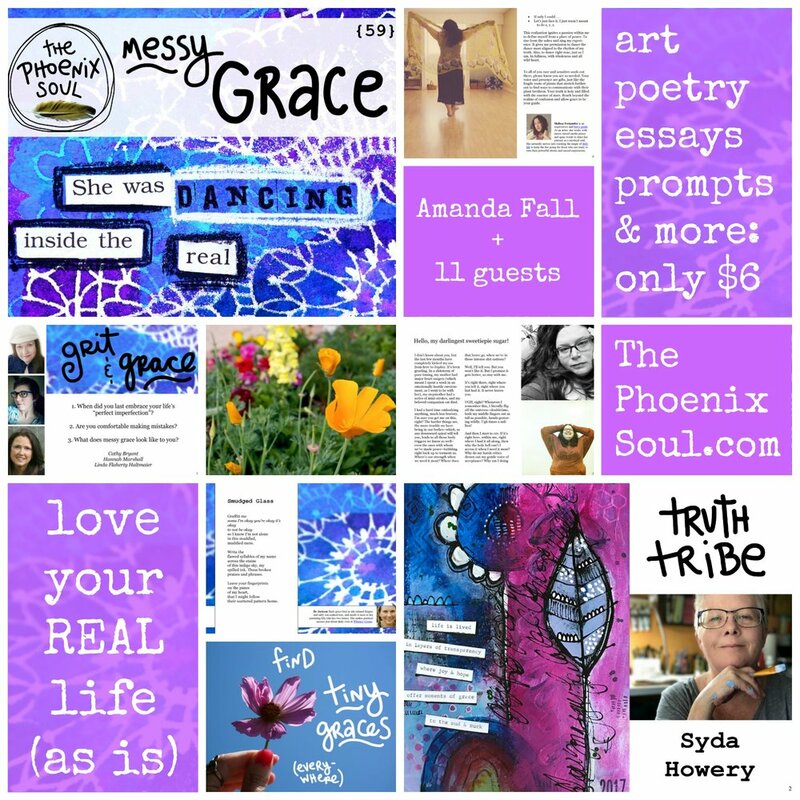 I'm delighted to welcome Syda to our Truth Tribe with her interview in The Phoenix Soul: MESSY GRACE. Many of us have been raised to believe that mistaeks are bad. Let’s turn that around. Give yourself permission to make mistaeks. No one is perfect and we all make them whether it’s in art, relationships, parenting, or finances. I’ve had a car repossessed. I’ve married (and then divorced) a jerk. I’ve torn up art and thrown it in the trash. I’m pretty sure my daughter, 19, wishes my helicopter would crash. 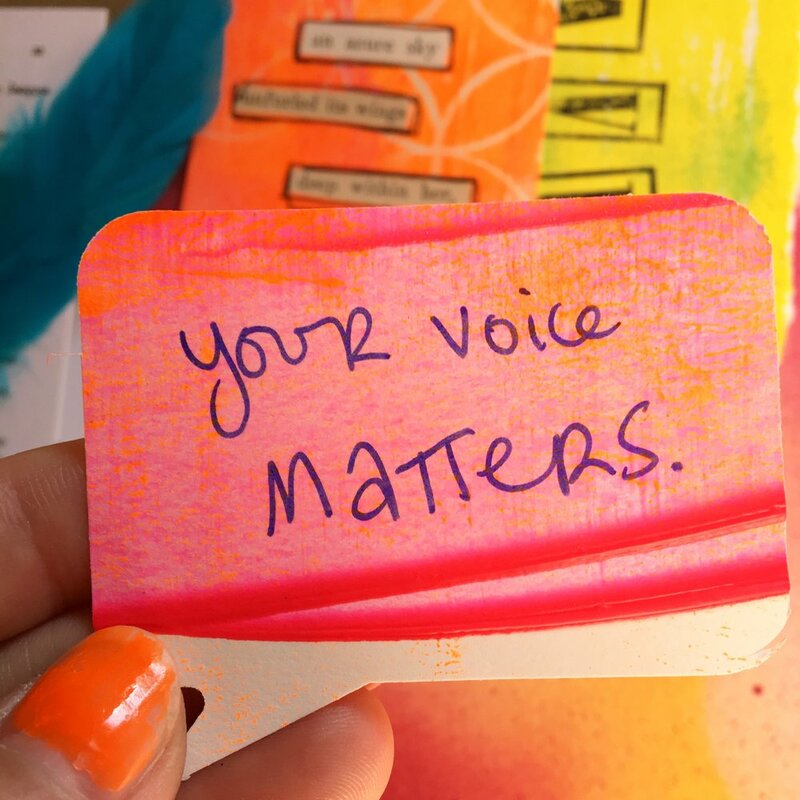 We went on to talk about anxiety and depression, feeling "good enough," the symbolism of the motley turtle, what messy grace looks like to Syda, and more. 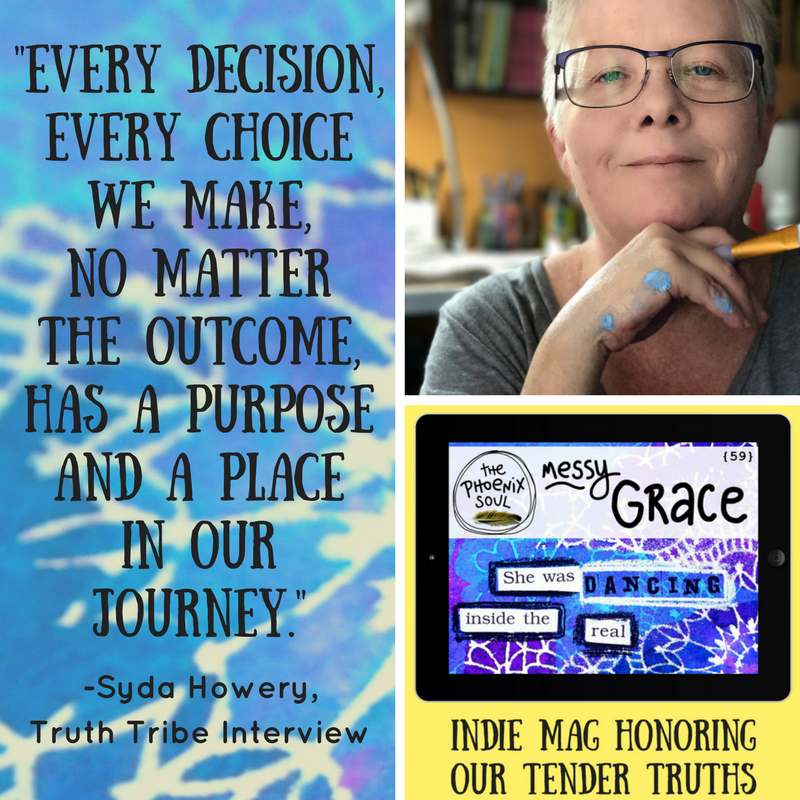 I'm so grateful Syda let her "heart crack open just enough" with us and shared her story of messy grace. Phoenix, how do you feel about making "mistaeks"? What if you tried letting yourself enjoy the process? What does messy grace look like in your life?